It is 1:53 PM Monday afternoon here in southwest Michigan. It has been raining this afternoon. Tomorrow the rain is suppose to turn to ice rain. 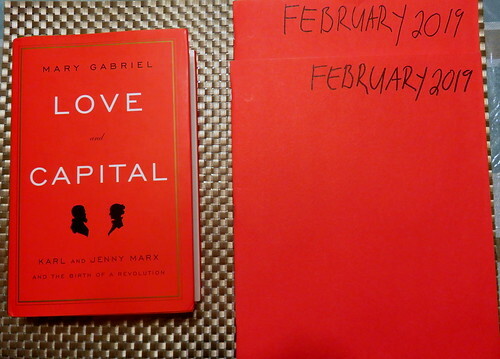 When I got home I ate lunch and wrote in my paper diary. Carol just went to bed to sleep, because she works tonight. I plan to do nothing the rest of the day. I am tired as usual. I will close to read from a book titled, 'Fire Within St Teresa Of Avila St John Of The Cross And The Gospel ON PRAYER' by Thomas Dubay S.M.. I forgot to mention that I did watch last night Superbowl LIII. I was hoping the New England Patriots would win and not the Los Angeles Rams. The game was boring, but at the same time it was good to see the Patriots win. I was not surprised how the game was played out. I knew watching the game whoever made a big play would win. It still would have been more exciting to have seen the New Orleans Saints play against the Patriots/two seasoned quarterbacks fighting it out and the playing field. But such is professional football. Will we see the New England Patriots in another Superbowl? Who knows. 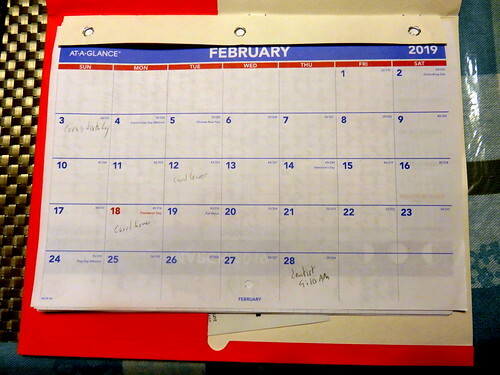 I noticed this evening that I forgot to post pictures of my February 2019 on the first day of February. I must be losing my mind. 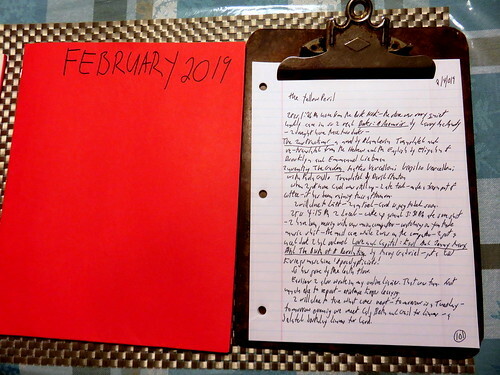 So I am now posting pictures of my February 2019 Diary before this month comes to a close. 'Fire Within: St Teresa Of Avila, St John of the Cross, And The Gospel ON PRAYER by Thomas Dubay, S.M.